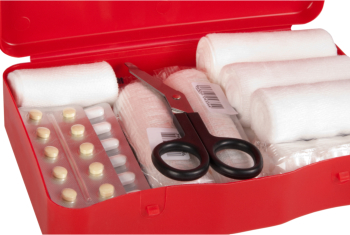 Camby Low Cost Pharmacy offers compounding solutions to provide personalized treatment to help you recover from wounds that are hard to heal. A common health concern that Camby Low Cost Pharmacy treats are skin wounds like pressure sores. These are very common conditions and thus we offer compounding solutions to provide personalized treatment to help you recover from wounds that are hard to heal. These kinds of wounds are usually associated with individuals who are bedridden, the elderly, individuals who get sick and are immobile, individuals whose movement is impaired in some way or people who are at risk of receiving a skin wound. A wound can actually form on any part of your body that is holding weight for a long period of time without any kind of relief. Some of the factors that go into skin wounds are your nutrition, weight and age. This will also affect the amount of time needed to heal properly. There are many effective methods to treat skin wounds. Healthcare providers will usually attempt to improve the mobility of their patient while also enhancing their nutrition. They will also prescribe topical medications that can be applied to the wound area to aid in the healing process. Some other options that we are offering are to compound different medications that can be applied to the wound to improve the flow of blood into the wound itself. These are prescription medications used for patients with poor blood circulation going into their extremities. If you want to prevent a skin wound, need to treat a skin wound, or if you are simply looking for a way to improve your blood circulation, we encourage you to contact us at 317-548-8015 today. We can help improve your health now!